“This is my job. 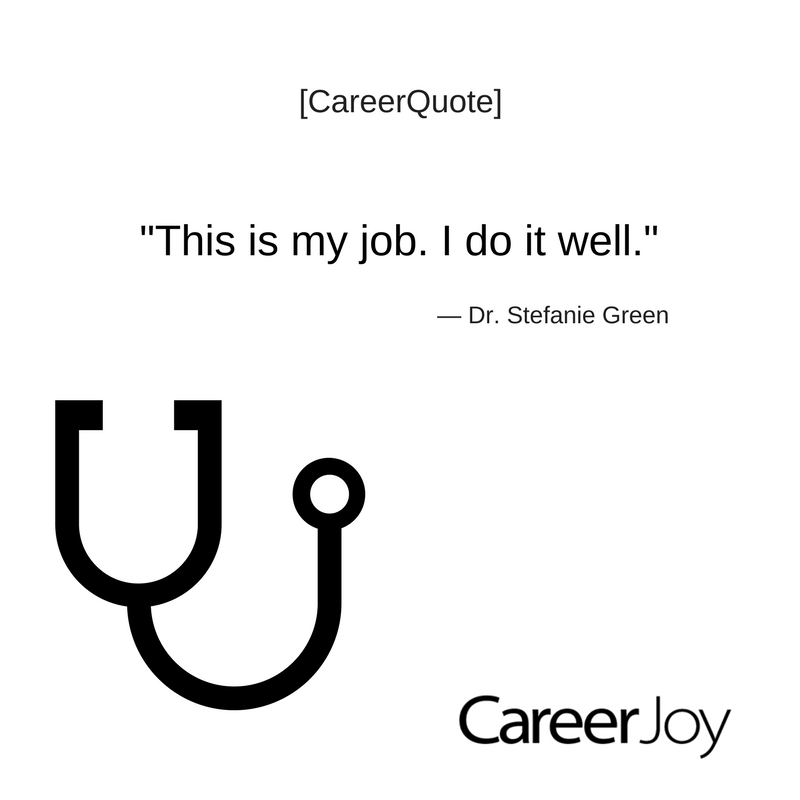 I do it well.” said Dr. Stefanie Green. I was struck and inspired by this statement. The absolute certainty of it. I enjoy reading obituaries in The NY Times, almost as much as I like wandering through cemeteries. This week, I read about the remarkable death and life of John Shields who lived in Victoria BC. Knowing he was dying with a rapid impacting disease, he chose the path of a medically assisted end of life procedure. Dr. Green lead his palliative care. I realize you may have different opinions about end of life care. Stefanie’s calling gave certainty to the decisions that best honored the wishes and care for both John and his family. She dealt with all John’s health needs and other details including negotiating with Hospital and his family to have a “living” wake in the hospital. She even arranged for delivery from Swiss Chalet, with all the trimmings for his wake. When we find “our” job, the natural outcome is that we will do it well. Most of the reasons we don’t do our best work are either for fit in the role or identifying the right company & culture. Both John and Stefanie had the courage to make choices that aligned who they were, with what they do and what they defined as a “successful” life. They both made professional and personal choices to live in a way that aligned with their identity, purposes, and values. John received compassionate care from Dr. Green; she did her job well. John ended is the journey well, on this side of time. This is the ultimate trade, we can all make in our lives.